How Lime, a California Based Electric Scooter Rental Service Provider made Mobility Easy? E-scooter has been a new trend in transportation. It has become very popular among the people as it is convenient to use in the crowded streets of US. As there has been a tremendous increase in the demand for lime rental scooters many startups are investing in this area to provide ease of commute. Lime launched the first fleet of pedal bikes in June 2017. After one year, it can be seen leading the scooter-sharing services across the US. 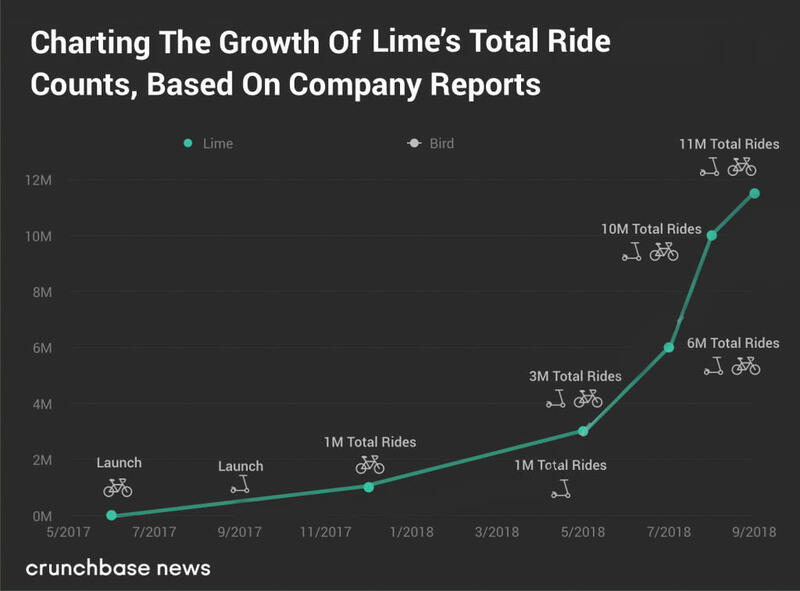 In July 2018, Lime raised a whopping $335 million in funding. It doesn’t come as a surprise if it was called as the “Uber” of e-scooter. It is the most popular electric scooter rental in Santa Monica. The lime scooter rental work in the same way as public bike-sharing companies. The Lime scooters are dockless and customers can use them for quick rides. They can be parked anywhere in the allotted parking, all this just by using a smartphone app. In the state of California, the Lime scooters have become a permanent fixture in more than 19 cities. Lime has even obtained the permit for scooter rental in Santa Monica. People in Santa Monica, San Diego, San Jose, Los Angeles etc. are familiar with the Lime scooters running on their streets and offering them simplified commute every day. These e-scooters can be called as the new style of daily commute and are making scooter rental in California more and more popular. They can be used for activity classes, office, tuition, and attending colleges on big campus as students love this new pocket-friendly way to get around in the city. You can also enjoy your date rides and have fun with friends roming around the city. The reason behind popularity of Lime scooters over any other is that they have made daily rides agreeable and cheap for the users. The rides are safe and can be easily picked and you can pay for them online without any trouble. Lime is taking over the other scooter rentals in Santa Monica and other cities because the company paid attention to its users and listened to their grievances. They filled the gaps that existed in the industry before offering an alternative solution. Using the Lime escooter, you can tackle the environmental issues and traffic congestion. You can reach your destination on time. With mobile app, the company has added convenience and improved the usability of the transportation. Here is a chart which depicts the growth in rides of Lime scooter in the past years. Lime uses green-colored commuter bikes having a GPS system and 3G connectivity. The bikes also have a front basket, a solar panel, and a smart lock. Users can locate the nearby bicycles through the mobile app. They have to scan a QR code to unlock the bicycles. The Lime scooter rental app has interesting features that shows they have considered everything the audience might require. You might want to study them in detail: How to Launch Your Own Electric Scooter App Like Lime? After reading the success of Lime scooter, if you wish to get into the e-scooter business and taste some success yourself, here are a few powerful features that you should consider while building your e-scooter app. Who can help you with your idea? California is just welcoming the new e-scooters everyday. Considering the popularity and growth of Limebike, they have been working on to get more of such dockless e-scooter to help daily commuters. So, if you are a startup and want to launch your own electric scooter in Santa Monica, California and build an e-scooter app, you can get in touch with us we will help you with the latest technology to remove all the hurdles in your way. Click here to Get Free Quote.